Time flies as fast as it can and before you know it, it’s time to start applying to various colleges. This time in one’s life is important and needs to be rationally calculated and evaluated before any major step is taken. There are various options when it comes to varsity or ivy league colleges but there is a distinction between them and colleges that provide college MMA programs. It is mainly for students who want to pursue sports and academic excellence at the same time as their fields of profession and education. It is best and highly advised to keep in contact with the MMA program board in college and make sure to submit your application at the earliest. Start applying in the early start of the fall semester. This ought to give you time over the summers to prep yourself both physically and mentally along with time to research and prepare for the courses you’re planning to apply for. It needs to be a thorough and calculated decision. Usually the summers are the most ideal time to start working on your applications but it is also important to know what dates are for the applications to be submitted to and from. Usually fall semesters are the best time to begin your grad programs and applying early gives you the leverage of being selected earlier which will give you more time to prep before the classes actually start. Martial Arts Scholarships are rare but you must not let that disappoint you. Do not be embarrassed if you cannot financially afford the fees of your degree or semester; there is absolutely no harm in seeking help to pursue what you are truly passionate about. Look on the internet for College MMA scholarships and apply to the one that you think suits you best. These financial aids can help you with the yearly tuition, hostel stay and coverage of minor and major expenses of staying on campus. Many individuals or their parents save up most of their lives to be able to pay college tuition or opt for various student loan options. It is important to know your college preferences and to visit the campus before submitting your applications. Having a clear idea of your college preference before applying is important as a campus visit will give you a detailed tour of the campus and the course being offered there. You can also meet and greet with the faculty and get more affiliated with the terms and conditions of the MMA college program you’re applying for. These visits also allow you to properly know about the campus life and how the student life is at the campus what kinds of necessary items are provided and what kind of things need to be taken care of before shifting to the campus. The basic checklist to look into as students is to see the gym, and check if the campus has a library and a book store that is fully equipped with the materials needed for all the academic purposes. Also see if there is a store located on campus that can be used to purchase other everyday items, and how far a town or a market place is from the campus that can be used for other purchasing such as clothing, general groceries etc. Another thing to look into is the fact that if the campus life is good for general student interaction if the students have a grouping area at campus where they can enjoy recreational activities together. 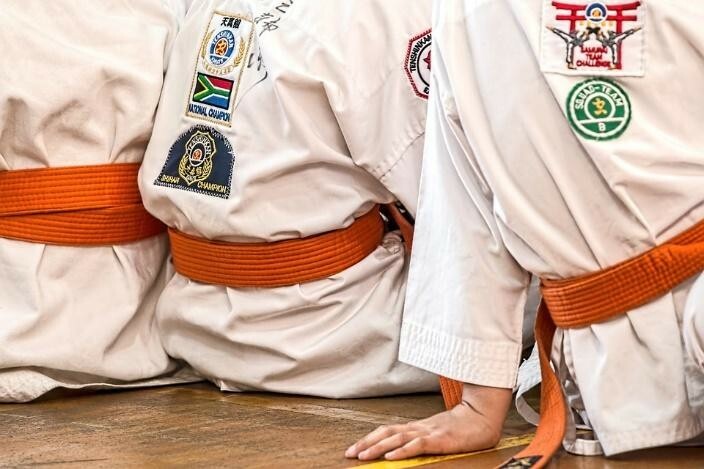 Being a Martial Arts enthusiast already means you are stronger and sharper than the average student or person, but that does not mean that you will put your safety and security to risk. Security is the most important thing to any family who is sending their child away for studies. Make sure the college you apply for creates a safe and guidance based culture for not just its students but also for its faculty and staff. These security personnel also act as security for events and special occasions that can happen at the campus.